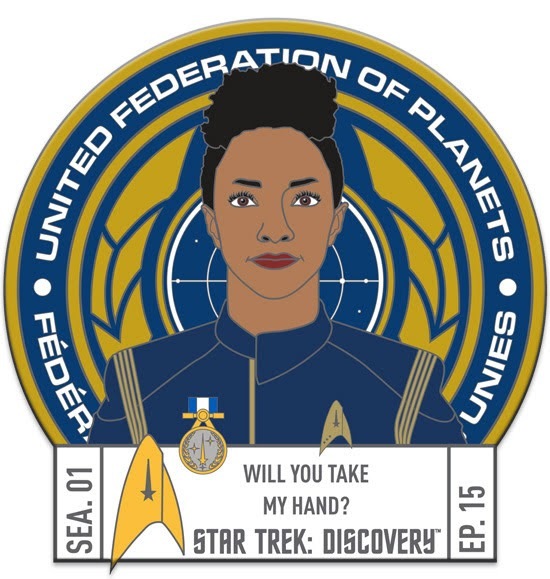 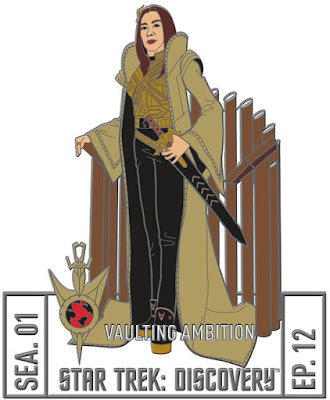 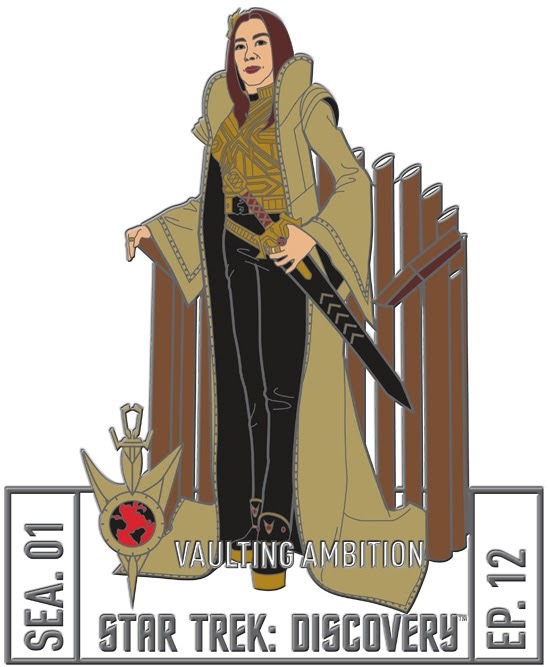 Fansets have released and previewed several new collectable pin designs, which befitting their broad range reflect on both Trek of today and yesteryear. Continue below to check them out. 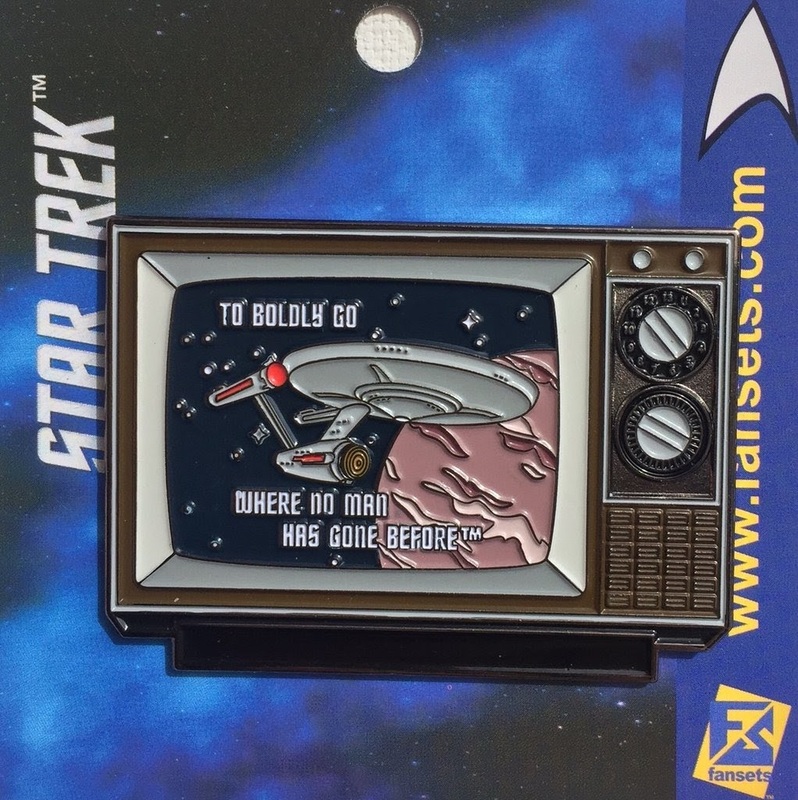 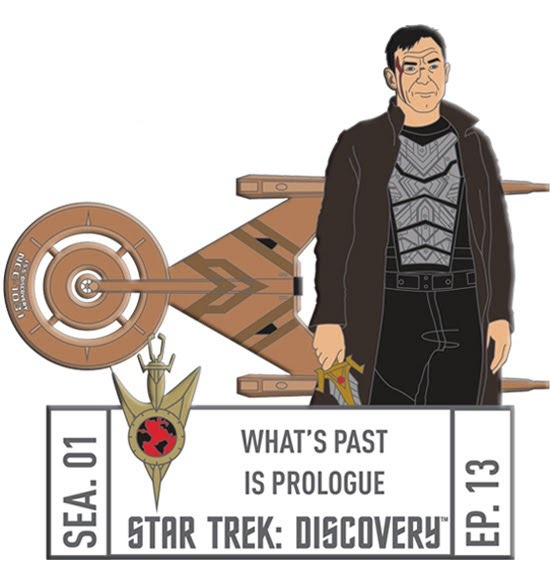 Perhaps their most nostalgic release to date, available now, takes us right back to the dawn of Trek, with the new To Boldly Go pin literally framing the TOS opening monologue in the screen of an old TV set. 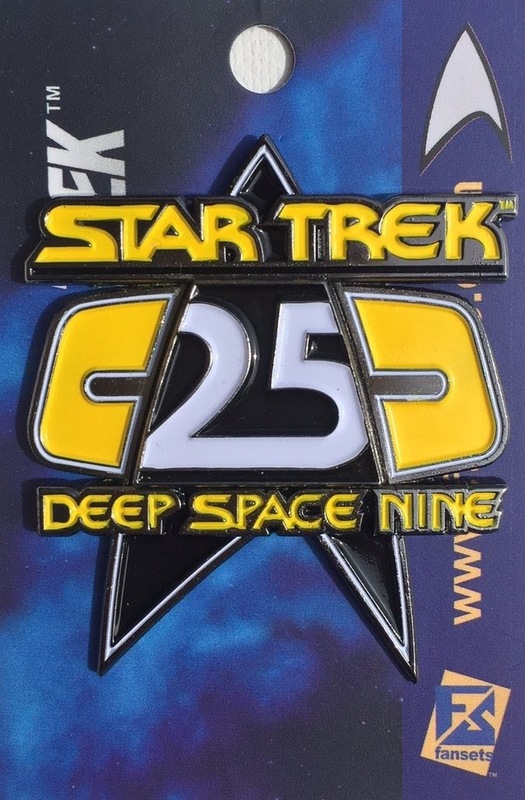 To celebrate this year's 25th anniversary of DS9 we have a new pin featuring the anniversary logo. This is available to pre-order now for release in late March. And coming right up to the present we have the final few designs for EpisodePins for Discovery. 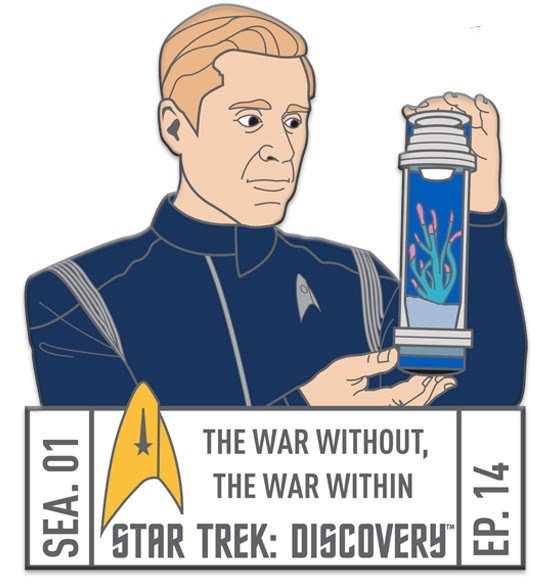 These should be released shortly to subscribers to the series, and will probably be available individually too at a later date.